Italy needs to take prompt action to bolster growth and improve people’s skills across the country. As our economies adapt to globalisation, technological and demographic change, the demand for new and higher levels of skills increases. Yet Italy is struggling more than other advanced economies to meet these changing demands. Italy has launched a number of ambitious reforms to boost growth. 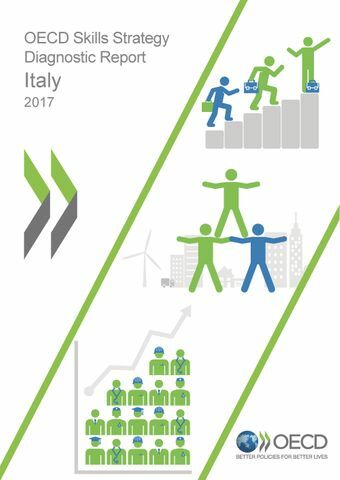 But the reforms need to fully implement to ensure that schools, universities and workplaces equip all Italians with the skills needed for success in the economy and society.The OECD Skills Strategy Diagnostic Report makes a number of recommendations that will help sustain this positive momentum including, among others, to:Implement the Alternanza Scuola Lavoro (ASL) by training school principals and teachers to effectively engage employers in the design of work-based learning activities and increase incentives for firms to hire trainees.Expand and improve the quality of professional tertiary education institutions (ITS).Increase overall investment in tertiary educationSubsidise training programmes that target low-skilled adults who often face difficulties in accessing such opportunities.Increase public and private investment in skills and improve how they are allocated through monitoring and evaluation.Improve the governance system to ensure that skills polices are aligned and coordinated.